This sportfish was custom built for fishing and the details are evident everywhere. It is beautiful. The boat is extremely comfortable and well maintained and the crew is among the friendliest and most capable in the entire industry. 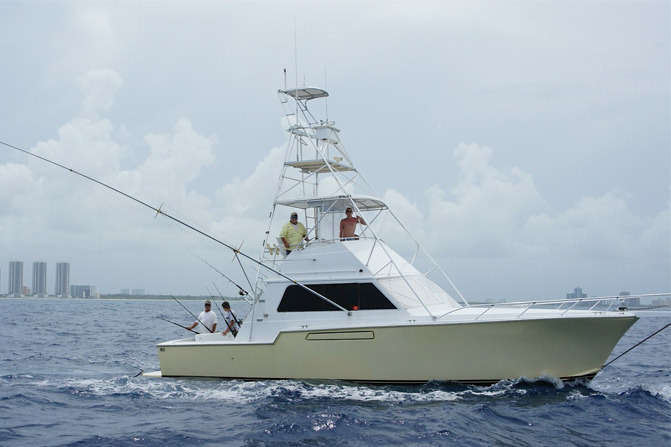 The boat features top of the line fishing equipment and tackle and unlike other charters, live bait is included when the conditions call for it.